The Director General of the Voice of Nigeria (VON), Osita Okechukwu, has criticised the role allegedly played by the natiobal chairman of the All Progressives Congress, Adams Oshiomhole, in the recent primaries conducted by the party, accusing him of impunity. In a statement issued on Tuesday, Okechukwu, who is a chieftain of the party, alleged that the Primaries Appeal Panel constituted by Oshiomhole was made up of his cronies from Edo State. He said that Oshiohmole by his actions was guilty of impunity, circumvention of due process and disrespect to the party. 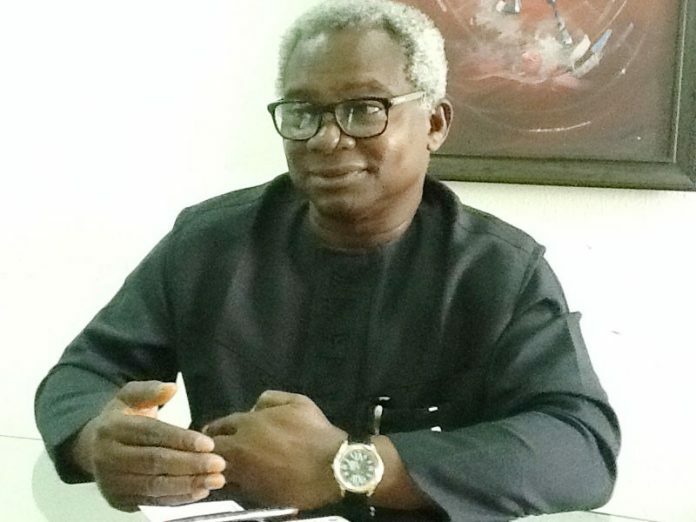 Okechukwu who contested for the APC senatorial ticket in Enugu West, alleged that there were several members of the Gubernatorial, Senate, House of Respresentatives and House of Assembly panels from Edo State. “There is no natural justice, equity and fair play when Comrade Oshiomhole populated or rather corrupted the primary with his Edo Field Commanders inter alia,” he said. To buttress his point, Okechukwu listed the membership of the panels that conducted the primaries to include; Prof. Oserheimen Osunbor(Kebbi), David Iyoha (Abia), Senator Domingo Obande (Ebonyi),Prof. Moses Momoh (Enugu), Lucky Imafuen (Niger), Pius Odubu (Kano), Matthew Iduyehue (Kaduna) and Abbas Braimah (Akwa Ibom). The VON DG said that the federal character principle as enunciated in the 1999 Constitution of the Federal Republic of Nigeria, the Constitution of the APC and extant laws, frown at nepotism. “One is of the considered opinion that each state is entitled to one head of the Panel, if pecuniary consideration is not fingered paramount. “It is my candid view that each state and Federal Capital Territory have eminent persons to head one panel each, instead of fanning out kindred and cronies as if it were bazaar handouts,” he said. Okechukwu challenged Oshiomhole to tell Nigerians why he stopped Enugu State gubernatorial primary mid-way after seamless conclusion of four out of 17 LGAs without genuine reason. He said that Oshiomhole should as a matter of urgent national importance clear the air on the culture of impunity and misadventure he demonstrated in Imo State by handing over the APC to governor Rochas Okorocha. But a group loyal to Oshiomhole, the Federation of Buhari Support Group, stormed the National Secretariat of the party on Tuesday accusing six governors elected on APC’s platform of plotting against the party’s national leader, Asiwaju Bola Tinubu, and national chairman, Adams Oshiomhole, thereby undermining President Muhammadu Buhari’s reelection bid. 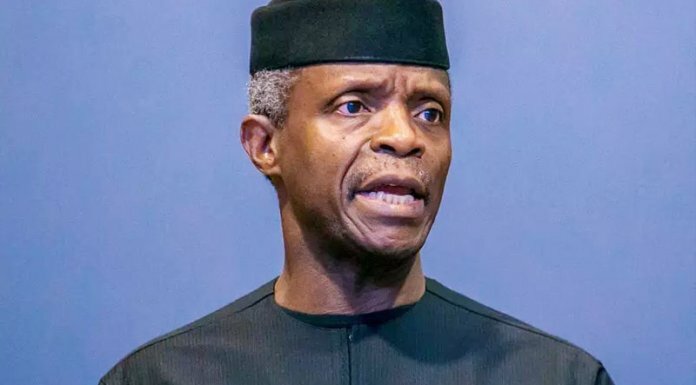 The governors accused by the group were Rotimi Akeredolu of Ondo, Kayode Fayemi of Ekiti State, Ibikunle Amosun of Ogun State, Nasir El-Rufai of Kaduna State and Jibrila Bindow of Adamawa State. In what looked like a counter move to shore up support for Oshiomhole, the groups numbering seven said they were happy with the leadership style of Oshiomhole. In a statement jointly signed by the Coordinator of the groups, Alhaji Ibrahim Sikiru and Publicity Secretary, Gbenga Bojuwomi, the Oshiomhole allies alleged that Governor Akeredolu was leading other five governors in a determined efforts to discredit three personalities in APC, President Buhari, Asiwaju Tinubu and Oshiomhole. The group said that Akeredolu was not happy with all the actions taken by APC NWC to reunite the party with a view to bringing democracy to the doorstep of party members by the adoption of direct primaries for all elections. The group said that a lot of damage had been done underground by the conservative governors to thwart the bright chances of the party in the forthcoming general elections. In the statement, the group said governor Akeredolu had been running from North to South collecting signatures of governors and party chairmen of various states to pass vote of no confidence on Adams Oshiomhole. “Akeredolu is purely a mole in APC, it would be recalled that he worked alongside with Gov Kayode Fayemi and Gov Amosun against the party’s choice in Osun election. “Right now, he has instructed all his loyalists and cabinet members in Ondo State to work against all party’s candidates in Ondo during the general election. The group said it supports the leadership of the party ably led by Oshiomhole and his determination to position the party for landslide victory in the forth coming elections. Meanwhile some APC female aspirants have accused the party leadership of marginalising women, threatening to mobilise protest vote against the party in 2019. The women who claimed to be aspirants of the APC on Tuesday, took their protest to the national secretariat of the party, alleging that the party marginalised them in the just concluded primaries nationwide. Speaking with newsmen during the protest, one of the aspirants from Imo state, Milicent Duru, said despite paying huge amount of money for nomination and expression of interest forms, the ruling APC marginalised them during the primaries nationwide.